MacElree Harvey, Ltd. is pleased to announce that Stephen M. Porter has joined the Firm’s West Chester office as an associate in the Estate Planning Department. Porter will work closely with clients across Pennsylvania, assisting them with various estate planning matters, including estates & trusts, tax planning, and elder law. A private practitioner prior to joining MacElree Harvey, Steve’s practice focuses on estate planning and administration, family law and business law. 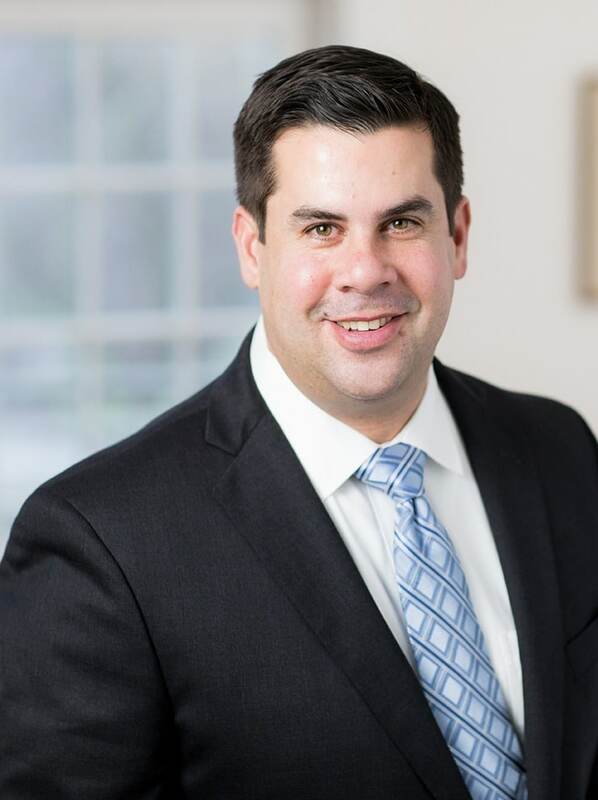 His expertise in these practice areas allows him to offer his clients a holistic approach regarding family planning, asset protection, taxation, and succession planning. Steve strives to build trust and strong relationships with his clients, so he can provide them with sound legal advice and representation. He prides himself on taking the time to get to know his clients personally, so he can fully understand their wishes and desires and address their needs accordingly. Receiving his J. D. from Widener University School of Law, Steve was recognized with the Outstanding Achievement Award in Estate Planning. He will receive an LLM in Taxation, and an Estate Planning Certificate, from Villanova University in 2018. He is a member of the Pennsylvania and New Jersey Bars, Past President of the Phoenixville Rotary Club, Board Member of the Good Samaritan Shelter and a member of the Phoenixville Chamber of Commerce. Steve and his wife Stephanie, and their two dogs, Brody and Grayson, reside in Chester County. Founded in 1880, MacElree Harvey is a full-service law firm with offices in West Chester, Kennett Square, Bala Cynwyd, Doylestown and Centreville, DE. In addition to its broad-based litigation practices, the firm represents clients in corporate law, mergers & acquisitions, labor and employment, real estate, banking & finance, bankruptcy, family law, estate planning, tax law, personal injury and criminal defense. For more information, visit macelree.com.